LOS ANGELES -- When Robert F. Kennedy decided to duck through the kitchen of the Ambassador Hotel in Los Angeles after declaring victory in the 1968 Democratic presidential primary, Juan Romero reveled at his good fortune. It meant the 18-year-old busboy might get to shake hands with his hero - the man he'd assured himself would be the next president of the United States - for the second time in two days. Romero had just grasped Kennedy's hand when gunshots rang out, one of them striking the senator in the head. 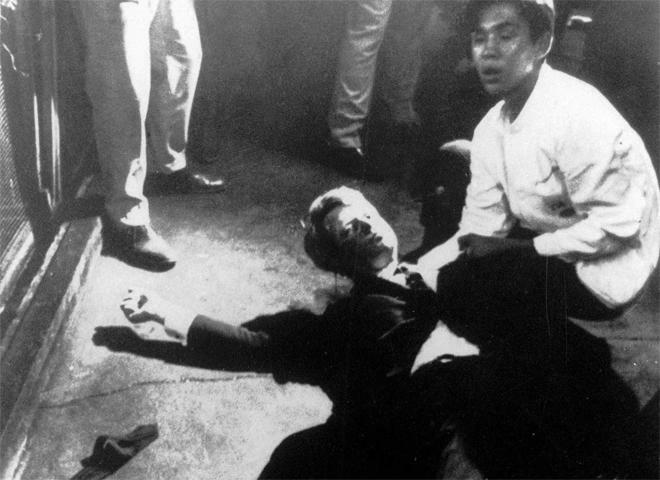 Kennedy would die the next day and the teenage Mexican immigrant who had idolized him would carry the emotional burden of that encounter for most of his life. Her father explained: "''If I wouldn't have extended my hand, he wouldn't have gotten shot," she said. "He was happy, he was so happy," she said. "It was just such a short time." "I think that's what made him a tough person, to hold everything in... as a teenager, dealing with that," she said. Last year, Robert F. Kennedy Jr. met face-to-face with Sirhan Sirhan, the man convicted for Kennedy's murder, who is serving a life sentence. Kennedy Jr. says he left that meeting believing that the gunman was falsely accused. He told the Washington Post earlier this year that once he saw the autopsy report, "I didn't feel it was something I could dismiss. I was disturbed that the wrong person might have been convicted of killing my father."